No Camp Bestival would be complete without the one and only Mr Tumble! We can almost hear the rumble of anticipation from our youngest audience members already! Our favourite king of the clowns will be joining us again for his usual mishaps and mischief, whipping up his pre-school groupies into levels of unparalleled excitement. Mr Tumble is the star of ‘Something Special’ on CBeebies, a show that uses the sign language Makaton to help all kids (including those with learning difficulties) to communicate better with each other and the world around them. 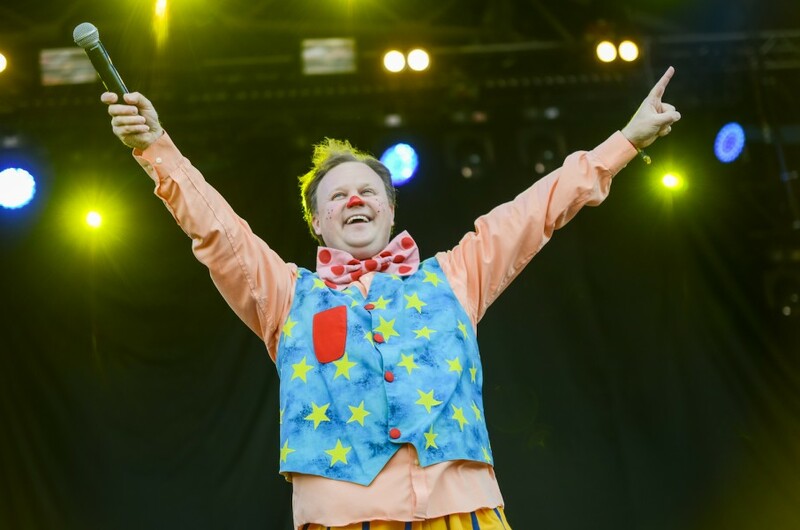 We love Mr Tumble’s slapstick clowning around and can’t wait to have him back on the Castle Stage again.